Damn, I love that! So true. I must confess I ‘hit’ a lot of clients in the face over the years with my demanding, stern yet encouraging coaching; this past week especially. (It’s no different in business where you ‘catch’ a few on the chin sometimes!). Some of you may have picked up on the increased scrutiny. I’m a strong believer in change and evolution, and that is what is happening when you undertake the task of the arduous work of being healthy and competitive. My ego won’t allow my clients to get ‘comfortable’ with our training format. So learning and refinement of technique NEVER stops. It’s one of the creeds I live by: the pursuit of excellence and mastery. My clients put up with my demanding ways: my tough and abrupt manner when it comes to training at an intensity they didn’t ‘plan’ on! 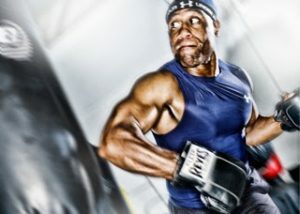 This blog is dedicated to them: to the finest training souls, I have ever come across in my 30 years in the business. You keep coming back because you know how to take a punch!! 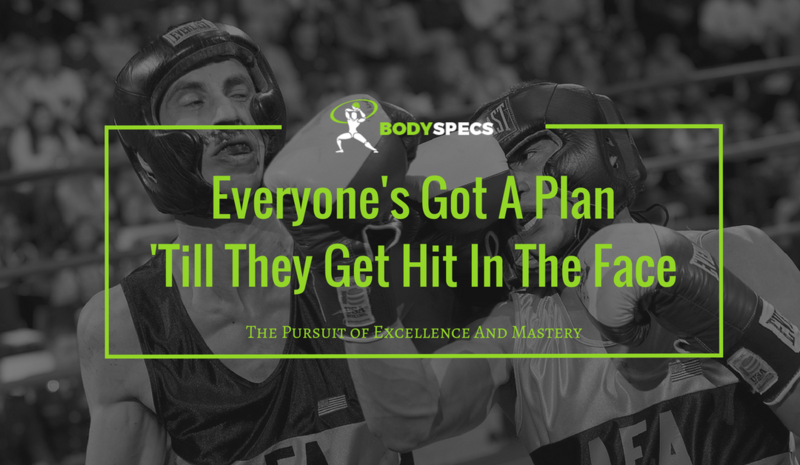 We’ve built BodySpecs to be a place that stretches you – when we know you’re ready. Everything we do is tailored to your level of capabilities, with a keen eye for safety. Our clients experience change and evolution in their own performance no matter if they’re an athlete that’s plateaued, a parent that’s been away from their sport for twenty years, or a patient recovering from injury or surgery.